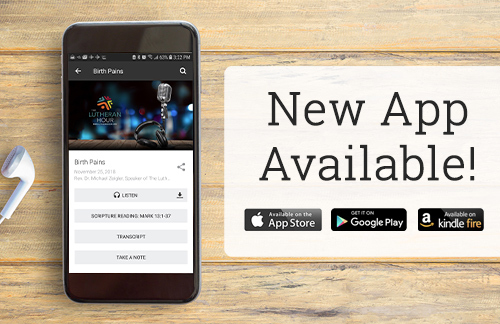 New App for The Lutheran Hour! New TLH segment featuring discussions and practical life applications for listeners. 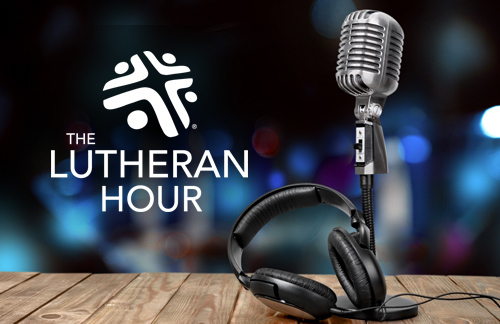 There is no offer this week from The Lutheran Hour, but check out our free booklet downloads from Project Connect! Have you ever wondered why Jesus chose to suffer and die on the cross? I don't mean the usual answer, the easy answer: "Because He loved us." When you make a gift today, it will be doubled by a $100,000 Matching Grant! Share your thoughts with us by taking our Listener Survey. Enjoy favorite episodes of the groundbreaking television series - available soon on DVD! Rally at the fair with LHM's Rev. Ziegler and a hymn sing! 2 p.m.